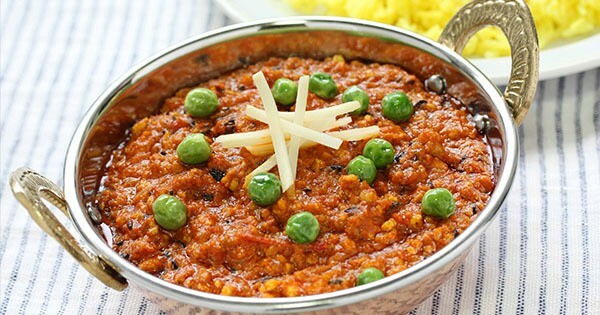 Combine minced meat, fried onion, green chili, fresh coriander, papaya paste, National Ginger Garlic Paste, tomato and National Behari Kabab Masala in a chopper blender and make a fine paste. Heat up a small piece of charcoal and place over a minced meat using a bread slice as a base. Pour 1 tbsp of hot oil, cover and let it rest in a refrigerator for 2-3 hours. Heat oil in a pan and fry green peas for a few minutes. Strain and keep them on a side. Add the marinated minced meat in the same pan using same oil. Put it on simmer with the lid on for 45 min to 60 min. Add some fried green peas and butter. Turn up the heat and fry for few minutes. We are going to discuss all what to eat before and after a workout. Yes, guys, this topic is common as well as most popular, and you may have also heard the same question over and over again if you follow fitness. When it comes to fitness, there are a lot of fitness trainers and coaches hear this every day. How can I get most of my workout? And what should i have before workout and after a workout? While there are other elements that may affect your unique situation. I just want to make it clear that there is only one simple and easy answer that applies to all of these questions eat the right food at the right time. Also, there are many opinions that what you should eat before and during your workout as well. But the reality is that your body is similar to a vehicle. So, you’ve to keep your engine and heart running when you workout. 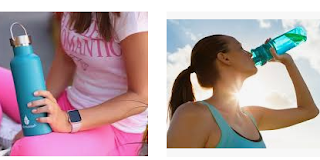 Providing your body enough fuel with right time before your workout is the best practice and provide you a sufficient amount of energy during the course of your workout. Basically, before workout, you should eat carbs and protein-based sources. which almost everybody follows the same regimen before their workout. The best pre-workout contains should be some form of complex carbohydrates and protein 45 to 60 minutes before your workout. Don’t take too heavy food, which can cause stomach bloated and to feel sluggish during the workout. And right before you workout, you can have 200 mg coffee or any USA brand pre-workout supplement 10-15 minutes before workout or can have 1 banana/apple/ 1 cup grapes. Make sure avoid any saturated fats and a lot of healthy protein because these types of terms slow down your absorption rate. Here you can see below some of my favorite snacks that you can include before hitting exercise. Option-1. Apple almond butter or peanuts butter (1-2) tablespoons. Option-2. Brown bread and peanut butter or almond (1-2) tablespoons. Option-3. Apple and peanut butter or almond. Option-4. Apple and almond or almonds (1 handful). Option-5. 1/2 cup oats cup with (1/8 cup) raisins or 1 cup berries and protein (optional). Option-6. Small sweet potato with steamed broccoli in olive oil (1 cup). Option-7. 1 cup Watermelon can be a good choice to increase the pump and vascularity due to present citrulline. These are the most common and used snacks before workout and yummy too, isn’t it? The best thing in the world only water during the workout to keep the body hydrated. No matter who you are, whether you are a professional athlete who trains for many hours or you’ve low to moderate pace routine. Water is necessary and keeps your body hydrated with small frequent sips thought out the workout session. In fact, you don’t need to add any during workout unless you have a serious goal like competition or not doing any vigorous activity, it’s not gonna help you out except the waste of money. After doing any physical activity, your body stored fuel is depleted in the form of glycogen. In order to replenish your glycogen, it is needed to eat simple carbs and protein after your workout within 20-30 minutes. You can have like- 1 banana, 3 dates or 1 cup grapes, etc. As per your fitness level, you can increase the number of foods. As a matter of fact, your muscles tap your glycogen whenever you do activities or normal walking, running, breathing, peeing and taking. All the time your stored glycogen breaks down. That is why after workout, you can decide that you will gain muscle and strength or lose. However, it depends upon your overall calories. The combination of protein and carbs help to refill your glycogen tank, repair muscles and build muscles that were broken down, helps boost your metabolism. Friends, i’ve seen many, they avoid having food after workout and sometimes before or they have late. Having late your post workout meal is not gonna give you as much effect as you can get during a specific period of time before cooling down your muscles. The sooner you start refueling, the better it will be. However, research shows your body’s ability to muscle stores subsidies by up to 50% if you waiting to eat up to 1-2 hours as compared to eat right after your workout. The better way is that take your post-workout recovery meal with you. So that you can take post workout meal right after workout in order to get the maximum result. Option-1. Water, of course, blend your water with 100 percent pure and natural juice such as grapefruit or orange. Option-3. 2 white bread (2 slices) with protein and or 2 white potatoes. Options-4. 240ml Gatorade or 2 sp glucose and blend with protein. Option-2. 1 cup non-fat yogurt or Greek yogurt with some berries and strawberry. NOTE:-If your goal is to lose fat and your weight is too heavy, make sure after workout eat fewer carbs like you can you replace banana with apple or grapefruit, so that you can maximize your overall calories intake. If your calories intake fits in your overall calories, that’s fine. I would recommend, count your calories first as per that choose your food choice to get most of the benefits in each goal. If you don't want to invest your money to buy a domain and hosting. You can directly promote your affiliate products by running paid adds on facebook and google adds. When a new blogger enter the world of blogging the very first step to monetize their blog is adsense. Beacuse a newbie doesn't know any other methods to make money from their blog/website. Google Adsense is fasted way to make money through your blog/website. In the case of affiliate marketing, you can't make money within one or two month. Affiliate marketing takes time to get sales. This is adsense is the king in this point. You don't need to write an article on a specific niche. If you want to do blogging and you don't have knowlege to share. Then you can share anything on your blog and display adsense adds on your blog. You can do multi niche blogging on it. You don't need to find the perfect product s to promote. Goggle adsense takes care evrything. Once you place the add code on your site, the adds will show automatically based on users intrest and their cookies. In fact, a lot of people I saw they don’t drink enough amount of water, around 3-4 liter of water is just a day no matter you are working out or not. Drinking pure water every day is a great benefit to the human body. In fact, the benefits of drinking pure water cannot be overestimated. Feeling tired throughout the day does not necessarily indicate a lack of sleep. Increasingly, doctors are finding that quite often their patients who complain of fatigue are dehydrated and suffering the effects of not drinking enough water. Plain water is all it takes to provide adequate hydration. Unfortunately, people often choose sugary drinks instead. While providing a short initial energy boost, they can cause an inevitable energy crash later. A 2014 study indicated water deprivation might negatively impact mood, which may even affect the overall sleep-wake cycle. In the study,30 low- and 22 high-fluid volume intake subjects were tested. As soon as you wake up your body craves it. Many people confuse this craving for a need for coffee. In fact, people wake up slightly dehydrated. With a well-hydrated body, you have the fuel needed to metabolize food and break it down much more efficiently. Your cells, like you, also become more productive when they’re fluid filled. By drinking water, specifically warm or hot water, you can naturally help your body detox and improve your digestion. Warm water increases blood circulation, and your body can more easily break down waste and increase sweat output. Lemons are also a great source of vitamin C,calcium,potassium,magnesium, phosphorus, and other vitamins and minerals. They can even help fight the common cold and are a popular remedy for skin problems such as dark spots and rashes to acne. Lemons increase metabolism and cleanse the liver as it flushes out toxins. They help fight infections of the respiratory tract as well as tonsil inflammation and sore throat. The benefits of hydration, particularly in people who are thirsty,are undeniable. Researchers from the University of Westminster and University of East London speculate that thirst sensations may divert attention from tasks at hand and slow down response times. A new kitchen is wildly exciting. It's a blank canvas, a brand-new space to make all your own — a fresh start, and a new beginning. A pantry is just waiting to get stocked with all your favorite foods and mealtime essentials. But that first grocery trip can also prove totally overwhelming, especially if you're moving into your own place for the first time or making a long-distance move, and stocking your fridge and pantry totally from scratch. We're here to help, with a grocery list to get you set up and fully stocked for life in your new kitchen, whether it's your first apartment in college or a new flat in a new town. This is one time you definitely need a shopping list! 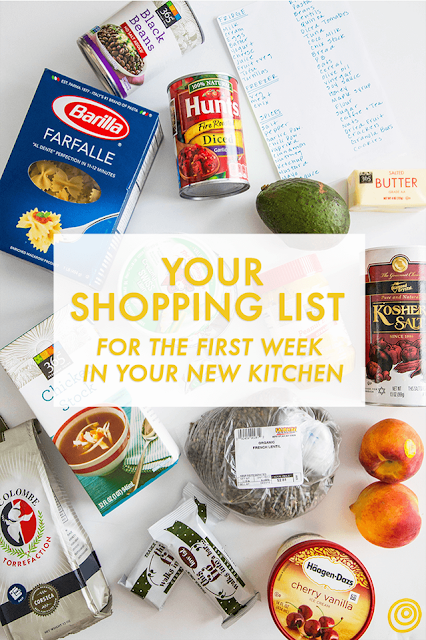 I'm an advocate of making a grocery list for all shopping trips, but it's especially important when you're grocery shopping to stock up a new kitchen. Without a list, it's easy to buy things you don't really need and won't actually use. You know what I'm talking about. And since you might not know the layout of your new grocery store, break your list into four main areas of your kitchen: spice cabinet and condiments, pantry, refrigerator, and freezer. Plan on more than one trip to the store. Use this first trip to the grocery store to stock up on just the basics and get yourself set up for easy weeknight cooking. Because even if you leave with two carts full of groceries, there will be things you forget and things you didn't realize you need. It's inevitable. Belly fat is a major problem our youths are facing in these days. If you have a fat belly, then no problem with it. Today we gonna tell you Top 5 Things To Reduce Belly Fat Very Fast At You Home Naturally and it's totally free of cost. It has been shown to reduce cravings by 60%, boost metabolism by 80–100 calories per day and help you eat up to 441 fewer calories per day. If weight loss is your goal, then adding protein is perhaps the single most effective change you can make to your diet. Not only will it help you lose, but it also helps you avoid re-gaining weight if you ever decide to abandon your weight loss efforts. There is also some evidence that protein is particularly effective against belly fat. One study showed that the amount and quality of protein consumed were inversely related to fat in the belly. That is people who ate more and better protein had much less belly fat. Another study showed that protein was linked to significantly reduced risk of belly fat gain over a period of 5 years. This study also showed that refined carbs and oils were linked to increased amounts of belly fat, but fruits and vegetables linked to reduced amounts. Many of the studies showing protein to be effective had protein at 25–30% of calories. That's what you should aim for. 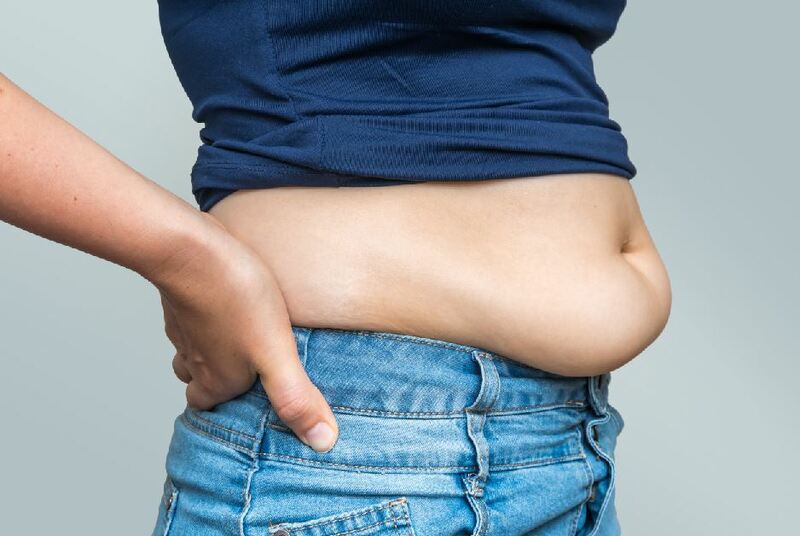 Some of your belly fat is probably water retention. The dandelion herb can help with this. Dandelion is a natural diuretic, which means it makes you urinate more. This is good because it flushes out toxins and extra water from your body, especially from your belly. Pour 1 cup of boiling water over 1 teaspoon of dried dandelion leaves. Let simmer for 10 minutes, then strain out the leaves. Squeeze 2 tablespoons of lemon juice into the tea and add some honey for a sweetener. If you have blocked bile ducts or any gall bladder related issues, avoid having dandelion tea, because it can cause more harm in those cases. It is often claimed that eating plenty of fiber can help with weight loss. This is true, but it's important to keep in mind that not all fiber is created equal. It seems to be mostly the soluble and viscous fibers that have an effect on your weight. These are fibers that bind water and form a thick gel that "sits" in the gut. This gel can dramatically slow the movement of food through your digestive system, and slow down the digestion and absorption of nutrients. The end result is a prolonged feeling of fullness and reduced appetite. One review study found that an additional 14 grams of fiber per day was linked to a 10% decrease in calorie intake and weight loss of 4.5 lbs (2 kg) over 4 months. In one 5-year study, eating 10 grams of soluble fiber per day was linked to a 3.7% reduction in the amount of fat in the abdominal cavity. What this implies, is that soluble fiber may be particularly effective at reducing the harmful belly fat. The best way to get more fiber is to eat a lot of plant foods like vegetables and fruit. Legumes are also a good source, as well as some cereals like whole oats. Then you could also try taking a fiber supplement like glucomannan. This is one of the most viscous dietary fibers in existence and has been shown to cause weight loss in several studies. ByCycle Exercise is most effective way to reduce your Belly Fat super fast. Do this exercise daily for getting a value changes in your belly and body as well. You would notice that losing belly fat involves a lot of crunches and crunch variations. Now it is high time you do reverse crunches. Like the other crunch exercises, reverse crunches are another good exercise to lose belly fat, especially for women. This is like the twist crunch exercise. Tilt the legs behind simultaneously with the shoulders. It is considered one of the best abdominal exercises for targeting the lower belly fat. Check out the video above for more details on how to do reverse crunches. Top 10 Best Digital Marketing Institute In Delhi: Nowadays every other institute wishes to grow their business, and the marketing of their service/ merchandise has become an extreme necessity. 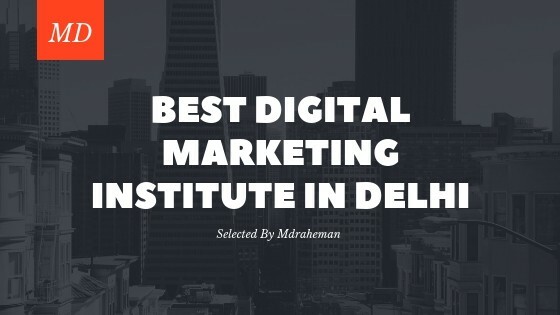 Today we gonna tell you about those Top 10 Best Digital Marketing Institute In Delhi. Following LinkedIn outcomes, Digital Marketing Experts are the most sought employees nowadays, and they can easily find employment in any region of the planet. You will find many Institutes who supply professional Coaching in Digital Marketing to pupils / Company owners / Pros. If You want to do Digital Marketing Course in Delhi for creating a livelihood in Digital Marketing then here is the Top 10 Digital Marketing Training Institute at Delhi you can take digital advertising courses in Delhi through these Delhi Institutes. The DSIM is undoubtedly the best marketing institutes in the market of the city. It is a beautiful place to get your orders done on time. The company is founded from the Kunal Chaudhary, who took up the initiative to clean the dirt up prevailing in the marketing industry. The business is among the very best of its kind. It's on its mission to assist all those, looking for the highest high-quality research procedures. The DSIM additionally gives the demo path to the pupils to determine their quality. And to know their methodology to attack the items in its totality. You will be certified by the Google firm, as their partner. It's a great idea, to begin with. Digital Vidya is still another top rated digital marketing institute this time around. It's one of the best institutes in the Delhi region. Nevertheless, its existence can be seen in Mumbai and Bangalore too. It's with the very best of this school out there in the industry. It's the outcome and the quality of the institute that speaks. It is an excellent institute to go for. It's a vast multitude of experience in this field. It's been in this area for very much of a long moment. It has coached over 6500 professionals and students, to be successful in the competitive market. The company is all set with more such successes. Since the beginning of Delhi School of Digital Marketing(DSDM) from the year 2014, the organization has grown into one of the most significant regions to stop for studying digital advertising. Harmandeep Singh, the mentor, started the journey with the aim of imparting online advertising and marketing knowledge to young advertising professionals desirous of beginning a career in the concerned field. With his hard work and dedication, he reached the milestone where DSDM is a renowned name of the current times and shows a simple career route to a lot of people. The institute always focused on the supply of excellent awareness to its students at affordable prices, and that is the reason it's so popular with the people seeking for information in various modules in the field of online marketing. It provides certifications to students on several courses ranging from Google AdWords, Search Engine Optimization, Social Media Marketing, WordPress website setup, e-commerce advertising, e-commerce installation, and innovative digital advertising. Every one of these courses is about 3-4 months. DSDM also offers an understanding of 50 plus marketing tools to its student. The great thing about the institute is that it provides three years of aid to its students after the conclusion of this program. So, all of the candidates who was a part of the institute at a certain point in time are always welcome to approach the faculty for doubt clarification. Is not it great! To conclude, DSDM is an open platform for all the people looking for a career in brand marketing, e-commerce business, entrepreneurs and other electronic marketing professionals. Address: WZ-90A, Second Floor, Ch. Dilip Singh Sophisticated, MatkeVaaliGali, JawalaHeri Market, PaschimVihar, New Delhi-110063. Digital Acharya is Pioneer in supplying India's 1st integrated Digital Marketing training. It began with the vision to transmit the Online advertising skills to the professionals, students, entrepreneur and job seekers who aspire to acquire expertise in the sphere of Digital Marketing. It is the best location to seek excellent knowledge and employ it in your career to increase in the concerned field at a reasonable price. They have the highly certified team of trained professionals. They supply free Demo course for your assessment. They're motivated to bestow the knowledge according to present marketing and advertising requirements. They supply 100% placement assistance to the Jobseekers. Among the prominent features that make Digital Acharya outdo others is the fact that it provides well-incorporated classes that not only gives you knowledge of Digital Marketing but also instills other crucial skills required for your general growth. In affiliation with Donation Holic, Digital Acharya has designed well-integrated training modules to help you in cracking interviews and produce the best outcomes. This integrated program includes Written & spoken English skills, Personality development, behavioral skills & Disposition development, communication skills and also provides you with practical management comprehension along with corporate vulnerability. So sharpen your skills and making your industry and job ready. Digital Acharya also has other perks to offer like it gives lifetime access to L.M.S (online portal) + 1-year classroom access. Undoubtedly, these distinctive features make it the no.1 option for you. Edu pristine has 9+ Years of Expertise in Training. Till today they have trained over 45000+ Professionals through their diverse network of 1500 expert coaches & through their offered 25 classes. Delhi Courses has been the leader in Digital marketing Training & Workshops with over 1200+ pupils educated from 60+ batches throughout their in-class training programme which is thoroughly Practical oriented has proved the name of the business among top Institutes. They also provide Free of Cost Demo Classes until you avail the discounts and course into the worthy and deserving students. Other Info: There Corporate Customers include names of big brands like Accenture, SBI Card, Cognizant, Philips, Viacom18, on mobile, Reliance, Parle, Citibank, Motorola, GE, Mahindra, HCL, Radio City, FICCI, SAP, TATA, Dabur, Kaya, ht, SONY, Fidelity, FICCI, Nasscom. Founded in 2015 from Prashant Sinha (co-founder of mycity4kids) along with AnibanNaskar and Varun Jaiswal as a startup to provide education to the people about Digital Marketing. Just Digital believes in Providing Practical Experience to the pupils so, that they can excel in their career as professionals. This is comparatively a new bureau. But when it comes to the results, it's far ahead of many veteran institutes. The bureau is with the latest and the ideal types of equipment to teach its subjects the right knowledge and the job in this discipline. They provide gigantic aid to the pupils in handling the necessities of the customers in a better way. Its class and style are distinctive and one of a kind. It educates many professionals up, and the results speak up the success out loudly. The new and the emerging agency is all set to flourish the business. Digital Technology is ranked as #1 institute. They started the company with the idea to teach students/ entrepreneurs about new technologies in advertising field via Digital & Internet Marketing. Who can Enroll: Marketing & Advertisement Professionals, Students, Present Digital Marketing Pros, and Small & Medium Business Owners? Consequently, they are the Top 10 Digital Marketing Institute in Delhi if you are also offering digital marketing training or Digital marketing class on your institute then it is possible to send your institute details at this on this comment section below.